Some say that email marketing is dead. Yet, the average office worker gets 121 emails per day. Likewise, there are 4.3 billion global email users. Email marketing is not the dodo; it is not extinct. The only thing that should be obsolete is the idea that email marketing is dead. Here are seven mind-boggling email marketing stats. These stats may spur you to change your email marketing tactics. Experian Marketing Services did an email marketing study back in 2013. They analyzed various methods of email marketing, including the effects of personalization. The study’s findings show that personalized emails generate six times more revenue than non-personalized emails. Even with that tremendous benefit, over 70% of brands fail to use personalized emails. Personalization of emails does not only generate more revenue. Experian claims that personalized promotional emails provide 29% higher open rates and 41% higher click rates. How can you personalize your email marketing campaign? One way is to ask your customers one simple question in a short survey. For instance, Paper Style asked their customers: Are you planning your wedding for you or a friend? After they had this data, they sent personalized emails to prospects depending on their answer. Get your team on board by using the right software. Use an email service provider that has all the tools you need for customization. The big names like Mailchimp and Aweber have personalization tools. Do you want to get a head start on personalization? You can boost your email campaigns with an extra field on your sign-up forms. For instance, Paper Style could ask their survey question right on their opt-in page. That way they could tailor content from the beginning. Remember that friction decreases sign-ups, so don’t go overboard with the amount of questions you ask. 2. There Is a 760% Increase in Revenue from Segmented Campaigns. Segmented campaigns bring in a treasure trove of extra revenue, over 760%. Are you sending to one list of customers? If so, you aren’t doing list segmentation. That means you’re leaving a lot of money on the table. Segmentation is easy. For example, you can create a particular customer segment: customers who have spent a certain amount of money in the last six months. After you create the list, make a promotion or offer that will only be sent to those specific individuals. Often people use segmentation and personalization interchangeably. And, why not? Both marketing tactics’ goals are similar: Speaking to your customer in a relevant tone, so that user engagement rates increase. Your goal is to add relevancy for consumers, not to get tied down by definitions. Here are some ways you can segment your campaigns. Check out this list for more ideas. 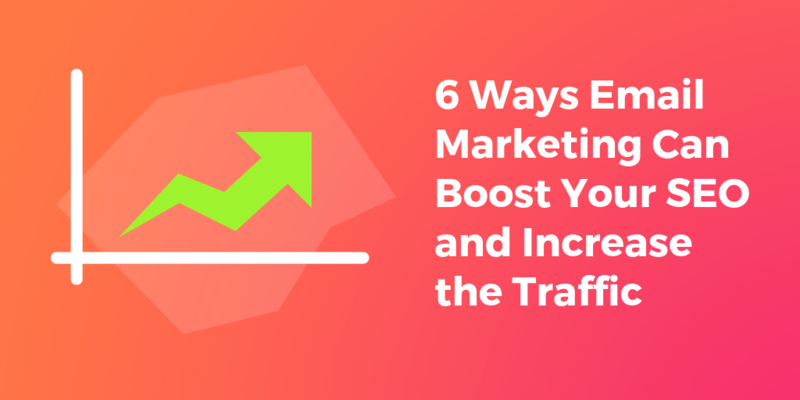 If you’re not sending segmented campaigns, you’re abandoning a chest full of gold. 3. Email Marketing Acquires 40 Times More Customers Than Facebook or Twitter. Email outclasses social for getting new customers. Actually, it’s not even close. Don’t get the wrong idea. Social media is great. It helps you promote your brand to people who aren’t on your email list. Yet, email marketing is where the conversions really happen. Email has billions more user accounts than Facebook and Twitter combined. Don’t chase the latest magic recipes on social media, and forget about the benefits of email marketing. You need an email account to sign-up for social media platforms. In that way, email is the foundation of social media. Likewise, it should be the foundation of your sales and marketing strategy. One underrated benefit of email (and your website) is that you own the platform. Facebook can easily shut down your page if they think you’ve broken their terms of service. That’s a huge problem. Some of those customers may not be on other social media platforms. That’s why you want as many customers as possible on your email list. Facebook is a powerhouse right now. Yet, Myspace was a powerhouse only ten years ago. Think about platforms like YouTube, Pinterest, Twitter, LinkedIn, etc. Who knows where they’ll be in ten years? Email has been a steady powerhouse since the 1990’s. It’s the best place to wager your chips. You can attract clients to your email list with a lead magnet. Try content like whitepapers, infographics, guides, etc. If you provide value to your subscribers, you can collect their email. One small button can increase conversion rates by 28%. You might have great subject lines. You may have amazing email structure. You may have fantastic images. That’s great. Don’t forget a vital element: call to action (CTA) buttons. Links work. Yet, if you’re using them, you’re missing out on sales. Modern design dictates links are old-fashioned. A proper CTA button is not going to let you down. CTA buttons increase click-through rates. Why? They give a clear idea to the reader what the next step they should take is. Let’s say you’re linking to a video that shows how to edit your alt images. A CTA button would say, “Learn How to Add ALT Images Now.” Conversely, a hyperlink- even one with a SEO-friendly URL- wouldn’t be as clear and compelling. Here are the reasons CTA buttons outclass links. Size – A button is larger in size than a linked piece of text. This catches the reader’s eye. Design – A professional CTA button has awesome design elements. For instance, it has shadows, gradients, specialized fonts, and other effects. In other words, you have more tools in the toolbox. Color – Colorful things stand out. CTA buttons have different colors than the background and text. The contrast is alluring. The reader will notice it more. No single color converts the best. The most vital thing is that your button stands out. Time is money. Make sure your customers get a robust benefit if they click-through from your email and take your offer. That will bode well for your future conversions. Lastly, avoid generic button copy like “Click Here.” Instead, say something like “Claim Your Free Ebook”, a statement which highlights the value of the offer. 5. Sending Four Emails a Month Will Give You a Higher Open Rate Than Just Sending One. If you want to accelerate your email marketing, you have to consider the consistency of your emails. Are you sending one email a month or less to your customers? Some brands don’t send too often because they aren’t confident in the value they provide. That’s not a problem you can sweep under the rug with infrequent sends. 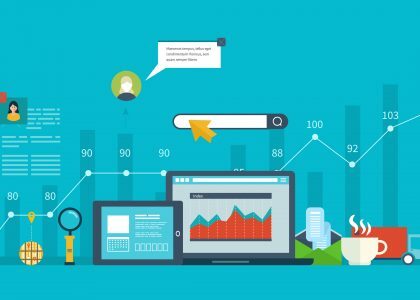 Prospects won’t automatically open content because it’s rare. You need to generate excitement about your emails. You do that by sending valuable content. You learn what’s valuable by focusing on your most engaged customers. Here’s a robust tactic. Some segments of your customers will open your emails consistently. Hone your emails through them. Learn what they like. Learn what they want more of. After you do that, you can roll out the improved content to a larger group of your subscribers. 6. Only 2% of Your Facebook Followers See Your Posts, Whereas 90% of Email Gets Delivered to the Intended Recipient’s Inbox. There’s a cornucopia of competition in the Facebook Feed. Only the top posts are seen by typical users. Facebook is constantly changing it’s algorithm. Their goal is to show more ads without compromising user experience. That way they can make more money. You can’t be sure how these changes will affect your business. So, you need a robust email marketing strategy. Of course, even if you use emails, some prospects will never see your message. All in all, you have much better chance of getting an impression via email as opposed to Facebook. 7. 68% of Americans Open Their Emails Based on the “From” Name They See. Subject lines are vital. So is the infrequently discussed “From” name. The “From” name or sender name, is the field that tells your client who sent the email. Most marketers use a company name. Others use a brand or a person’s name. Some simply use an email address. It might seem trivial. The “From” name occupies less space and prominence than the subject line. Yet, the “From” name is critical. Most clients look at the “From” name first, and they discard messages from senders they do not recognize. Make sure your “From” name represents your brand. Different email providers have different ways to change the “From” name. Here’s how to change it on Mailchimp and Aweber. 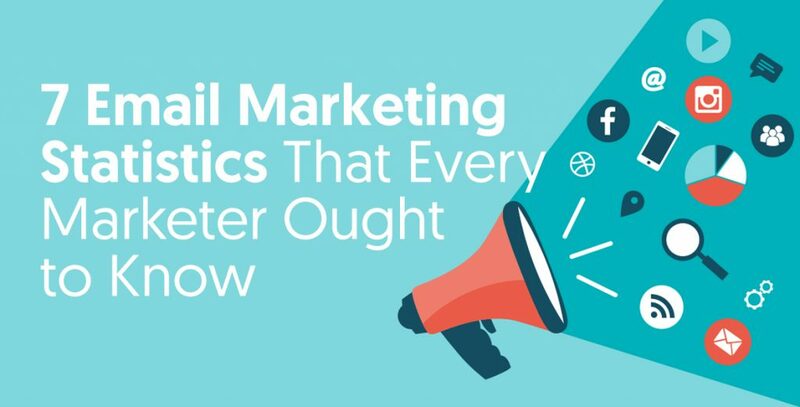 Are you interested in more fascinating email marketing stats? Check out this article to see dozens more. Likewise, we’d like to hear your favorite email marketing stat. Please share it in the comments below.